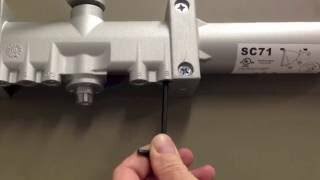 Surface mounted closers are the most popular closers in today’s market. They are mounted on the surface of the door or frame, on the push or pull side of the door, depending on the arm that is used with the closer. 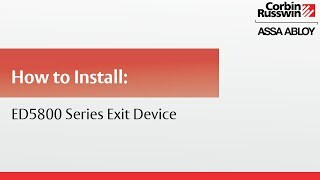 There are three main arm options for surface mounted closers as well as many other features that are available in conjunction with one of the arm types. The first option is a standard or regular arm. 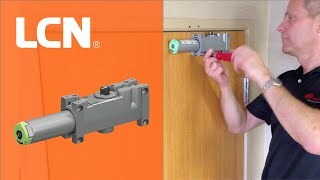 Such an arm is mounted on the pull side of a door and it is very efficient. A parallel arm gets mounted on the push side of a door and it won’t protrude out like a standard arm, rather it folds parallel to the door thereby making it less conspicuous. A parallel arm will work about 25% less efficiently than a standard arm due to the way it is mounted. A closer that is top jamb mounted, is also mounted on the push side of the door. It will be mounted on the frame with the arm protruding perpendicular to the door, like a standard arm. Arms that are protruding can be problematic in areas that are prone to vandalism. There are additional options available to have with your closer arm. A hold-open arm will keep the door open at a certain position until it is manually closed or released by a fire alarm system. 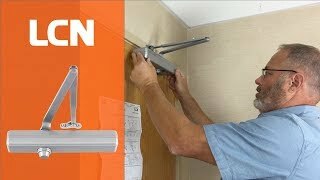 An arm with a stop will cause a door to stop at a given point to avoid damage caused by the door banging into a nearby wall. 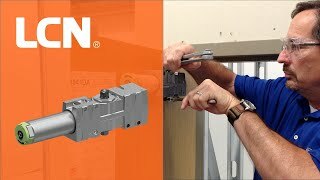 Qualified Hardware offers a large selection of surface mounted closers from many of the leading brands in today’s door hardware industry such as LCN, Norton, Sargent and others. Each brand has its unique qualities and features that are suitable for different applications. In addition to the complete surface closer packages, we also have many brackets, plates and arm options to adjust any closer to your specific needs. Browse through our extensive collection to find the closer that is best suited for your door.